Earlier this year, the Washington Redsk*ns trademarks have been canceled by the US Patent Office on the grounds of being “disparaging to Native Americans.” “Redskins,” defined a racial slur in Merriam Webster’s Dictionary, has long been associated with this major football team and used publicly in a wide variety of venues. Dozens of US Senators have voiced their support to changing the name, and overall, we’ve seen an incredible shift in the national conversation. Where once Native Americans have largely been invisible on the national stage, issues around representations of Native culture have taken the forefront, with op-eds and rants in spaces as diverse as the Colbert Report and Esquire Magazine. I first began noticing the bubblings of this movement a few months ago, when I caught onto a few intriguing hashtags that attacked notions of “mascotry”, or the depiction of Native cultures and peoples as sports mascots. The term “mascotry” was coined by Dakota/Sioux writer Jacqueline Keeler, who needed a word to describe the culture of mascots–their appearance on logos, the performances during halftime, and the way fans dress up. That these mascots appropriated and misrepresented Native culture has been deeply problematic, and as Keeler has noted many times, would not be accepted if the teams were appropriating icons from other cultures. #NotYourMascot as a hashtag has blown up in the past few months, and it’s been followed by a wide variety of others. What does this hashtag mean and where did it come from? How has it become so powerful in national conversations? Part of its success, as we’ll see, is how targeted these actions have been, and that they’re driven by a coalition called Eradicating Offensive Native Mascotry, which uses the internet and a savvy media strategy to draw attention to these issues. I sat down with Keeler over two different Skype sessions to talk about what’s been happening. Q: Hi Jackie. Can we start with how #NotYourMascot got started? A: We changed the hashtag to #NotYourMascot from #ChangetheName, because the hashtag was inundated with Twitter accounts from India. Q: Wait, what? Was that deliberate? A: We weren’t sure. We were targeting the Redskins, and we hope it wasn’t [Dan Snyder] behind it. We decided to change it for the SuperBowl, and we kept it a secret until the start date the night before. We sent it privately to folks who were supporting our action, and they shared it online at the same time as the video. PETA proposed the Redskins only change their logo, not their name. I think hashtag campaigns like #NotYourMascot are a great way for extremely small populations like ours to have a voice. I think for the Super Bowl, our FB event group had over 400 members, who were by far over 90% native, and a few allies. 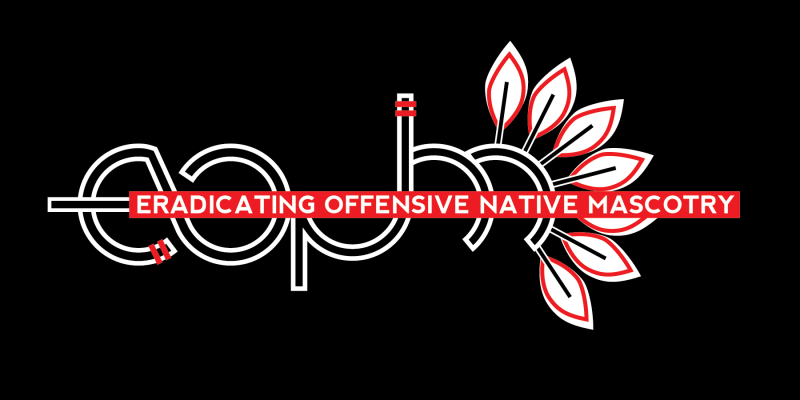 Q: Let’s talk a bit more about Eradication of Offensive Native Mascotry (EONM), the organization you helped start. What do you mean by “mascotry” and why is it so important to challenge it? A: I want to take the focus away from the static image of the mascot. That image can be noble looking and it can be somewhat okay. But it’s the ctual practices around having a native mascot: dressing up as Indians, playing Indian, donning red face, making up fake chants. These stereotypical actions are demeaning to Native people. We have to focus on all those antics. It hows you how quickly it devolves into this completely dehumanizing thing. For me, my father is a Yankton Sioux. He’s a Dakota Indian. Most people dress up like Plains Indian. They don’t dress up like Seminoles. The appropriation of cultural things like our regalia and headdresses is appropriating things that have a lot of meaning for us. I posted a something on my blog from 1968–the Yankton Sioux delegation is visiting the White House. My ancestor is the only one wearing the eagle feather dress. Each feather represents a vote from the community. That’s the meaning that we would like people to know about. Q: Since the beginning, you’ve always focused on making sure #NotYourMascot and other hashtags start trending, either in the United States or globally. Why have you focused on this tactic in particular? A: It helps people feel they can have a voice, especially when talking to people like Daniel Snyder or broadcast media. We can get them to take what we’re saying seriously and begin to listen to other points. They’re always trying to speak for us. It’s hard to do things together as Native people because we’re so few. The internet has been that way for a lot of Native communities who became isolated by geography, even if they’re living only miles apart. The internet has been a huge boon to them. Now they can communicate again and organize better. Q: What other work are you doing? I’ve started subscribing to EONM’s mailing list and notice you’ve also been sending a lot of press releases every time you’re working on a major hashtag campaign. A: We try to get articles written. We try to pitch them. So often there’s no way. The gatekeepers don’t listen or don’t care. And yet we have a big interest in the United States. A lot of US energy resources and water are located on Indian lab. Q: We’re going to include a gallery of some of these #NotYourMascot memes that people have been making, and I’ll be including links to #NotYourTonto, #NotYourTigerLily and a few other hashtag memes that you guys have started. Some of these are incredible. Wow! A: [Laughs.] It just makes me happy. It’s so great to see such a variety of Native people participating, and they’ve expressed their feelings in 100 different ways. It’s so beautiful. There’s always interesting things happening. Follow Jacqueline Keeler on Twitter at @jfkeeler and her writing on Indian Country Today. You can see some of the hashtags EONM has launched at #NotYourMascot, #NotYourTonto, #NotYourTigerLily, #RedfaceDisgrace and others. About Jacqueline Keeler: Jacqueline Keeler is a Navajo/Yankton Dakota Sioux writer living in Portland, Oregon and is a founder of EONM (Eradicating Offensive Native Mascotry). She has been published in Salon.com, Indian Country Today and the Nation. She is finishing her first novel “Leaving the Glittering World” set in the shadow of the Hanford Nuclear Reservation in Washington State during the discovery of Kennewick Man.